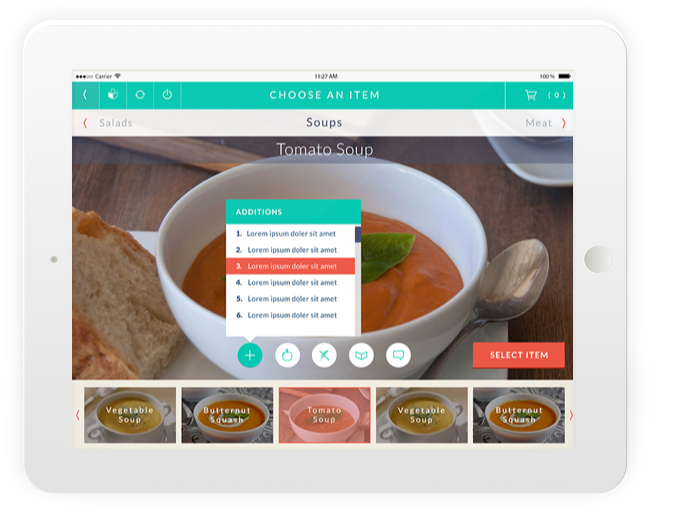 An iPad and web app for a Canadian startup that enables convenient ordering at restaurants. The Menyou app is a menu-based meal serving platform allowing restaurant patrons to select, order and pay for items on the menu. We built it over the foundations of Continyou Care — another app for the same client. As a result, the design and development of this app was less challenging, as the learning curve was already traversed while working on the Continyou Care app. During the initial phase, our goal was to allow for quick placement of orders, instantly recognizable images of available meals and a smooth UI connecting waiters with the kitchen staff. Through wireframes and initial designs, we defined a simple flow for all user categories through different modules of the app. The backend CMS we delivered was slightly more challenging, and this involved a strategic approach in terms of both the IA and overall UX. We also integrated a payment verification and receipt generation system.